In Hawaii, One Clinton Elector voted for Bernie Sanders for President. In Texas, One Trump Elector voted for John Kasich for President. One Trump Elector voted for Ron Paul for President. In Washington, The following indiviudals received one vote each for Vice President: Elizabeth Warren, Susan Collins, Maria Cantwell, and Winona LaDuke. 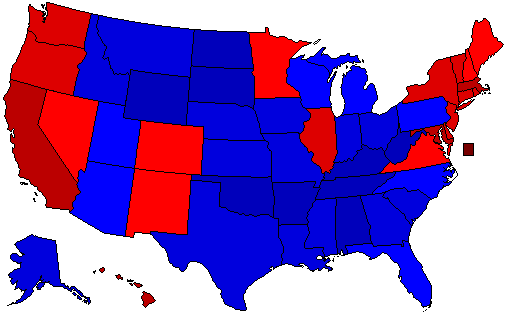 Electoral Vote Map Note: there is no implied geographical significance as to the location of the shaded areas for states with split electoral votes.